Nowadays, it’s so easy getting around from point A to point B thanks to the myriad of turn-by-turn navigation apps that are out there. Simply folks, they take out the hassle from having to pull over somewhere, ask random people for some directions, and go back to your merry way on the road. However, when it comes to telling people about your expected time of arrival, that’s a total different story, as many services and apps neglect to do just that. 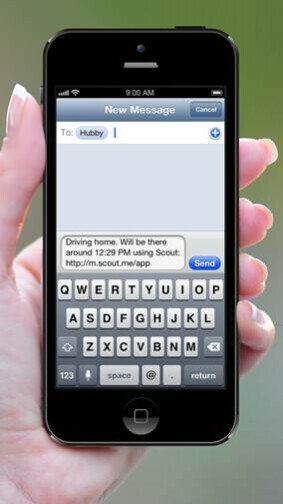 Fortunately, the Scout app for iOS is here to help you notify people about your impending arrival with its latest software update. Normally, the process involved in the operation requires you to pull up your navigation app, find out your ETA, and then either text or email the information to your recipient. Well, the new update streamlines the entire process considerably – making it even easier to share that information in a short and simple way! Essentially, the app now enables users to share the address, place, or local event with people through text messaging, email, and Facebook. 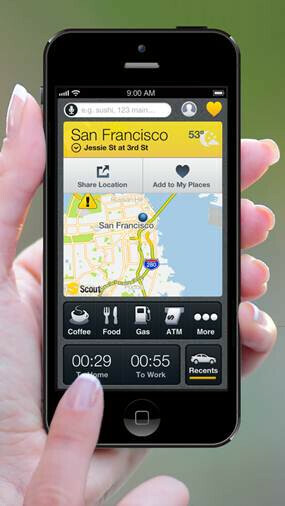 With the press of a button, users can instantly provide an exact time of arrival, but even better, the recipients don’t need to have Scout for iPhone to view the pertinent details, seeing that the link provided to them employs Scout’s HTML5 browser-based service. So basically on their end, whether they use an iPhone, Android, or Windows Phone device, they’ll be greeted to the proper information. Even better, the update also allows users to activate automatic alerts to recipients – so they’ll always be in the loop, while lessening the need for you to constantly update them. Babysitters/house sitters beware! This is the countdown clock for you to make sure that everything is spiffy before the owners get back from their date. Of course, if you have Scout installed on your iPhone, you can download the new update right now through the App Store. LOL. 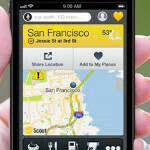 the scout better use android with Google Map. 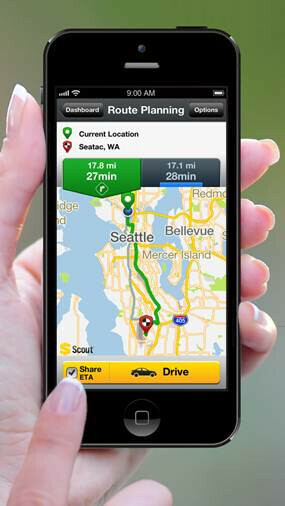 Apple Map is Soooooo yesterday.